2 What is concentration meditation? Do you ever find yourself getting distracted? Maybe you’re in a conversation and you can’t help but give in to the urge to check your phone. Or maybe you’ve got an important piece of work to do and every fifteen minutes you’ve somehow managed to take a break to check your Facebook feed. Whatever it is, you know that you’d enjoy things more, and have a lot more free time, if only you could find it in you to truly concentrate. In the last decade, we’ve seen a huge cultural trend towards secular (non-religious) meditation in the West. Whilst interest in meditation was typically reserved for spiritual seekers throughout most of the 20th century, it has now penetrated mainstream culture and is being widely used by everyone from Fortune 500 companies to professional athletes in an attempt to reduce stress and anxiety, and improve performance. Many of us are shocked when we hear of studies that suggest that just 8 weeks of meditation can change the physical structure of our brain. These claims are true, but to see a dramatic increase in your ability to focus, you would have to spend a significantly longer period of time practicing. With one year of a consistent meditation practice, you will likely see a moderate (but potentially underwhelming) increase in your ability to focus. This isn’t really what people want to hear, and seems to be why the majority of people who practice meditation in some form don’t become long-term practitioners. However, that doesn’t mean that you should be disheartened. As Bill Gates said, we drastically underestimate what we can achieve in ten years. In fact, the benefits you would see after just three years of consistent meditation can be more dramatic than you could imagine. Studies of long-term practitioners have found that the benefits of meditation continue to increase over time. And as far as we know, there is no ceiling to this improvement. For example, long-term meditators with around 5000 hours of experience will see superhuman increases in attention-regulation when compared to non-meditators. When we look at the brains of expert meditators, those with around 19000 hours of practice, we see that distracting sounds and disruptive thoughts are virtually eliminated when concentrating on an object. To take this further, those with even more experience (an average of 44000 hours) have less activation in the regions of the brain associated with attention – meaning they were able to concentrate deeply with virtually no effort on behalf of the brain. It’s not expected that anyone reading this will meditate 44000 hours in their life, as this is equivalent to about 4 hours of practice a day for thirty years. However, a sustained daily practice can still see you reach levels of concentration that you have never before experienced or expected. In the long-term, it is likely that any and all types of meditation will improve your concentration when compared to doing nothing, just like any type of exercise in the gym will help you lose weight. However, as with the gym, there are specific techniques that are going to be much more effective for improving a certain skillset. Finding the right type of meditation for you, and the right technique within that type is the key to you seeing an improvement in your ability to sustain attention. When meditation is studied, it is usually placed into two categories; focused-attention and open-monitoring. In open monitoring meditation, the practitioner holds an ongoing, non-judgemental awareness of the contents of their experience. This means that they step back and watch the experience unfold, as opposed to directing their attention towards something. The intention of this practice is to gain an increased awareness of the sensations and thoughts that occur within one’s body and mind. Studies of some open-monitoring meditations, such as mindfulness, showed that attentional-control (another term for concentration) did not improve in the short term. This means that despite its popularity, mindfulness is probably not actually the most effective meditative technique for a lot of people who want to see change. Though mindfulness is often used as a technique to stop overthinking, it actually doesn’t directly change the degree to which initial thoughts pop up. In fact, the mindfulness we see in the mainstream now is often a misuse of ancient Buddhist precepts, which saw it as an attitude to hold in conjunction with a variety of other methods, as opposed to a stand-alone technique. On the other hand, concentration meditation is used to train the mind for sustained attention. During focused attention meditation, the practitioner directs their attention wholeheartedly towards a single object. When the mind wanders away from the chosen object, such as the physical sensations of one’s breath, the meditator directs the attention back to the sensation. In this practice, the brain is found to produce Gamma and Beta waves. This suggests that there is increased voluntary control of attention and cognitive processes, which you don’t find in open monitoring meditation in which Theta waves are produced. Concentration meditation has been shown to improve performance on a number of aspects of attention, such as improving the ability to control perceptual rivalry (distracting thoughts). Studies have found it to be far more effective than mindfulness meditation when it comes to training our ability to consciously regulate attention. When meditating you want to eliminate as many disturbances as you can. Find a place that you could use to meditate regularly, and preferably where you’ll be by yourself. It’s great if you can turn your phone on aeroplane mode, so you’re not anticipating texts or calls. It’s important when you practice concentration meditation that you have either as much quiet as possible or a consistency in the nature of the sounds that you hear. If you are not an advanced meditator then traffic, yelling, or other disturbances will constantly take your attention away from the object and it will be hard to gather the momentum needed to cultivate focus. If you live in a big city and it’s hard to get away from the noise pollution then I recommend you try listening to music or binaural beats. A lot of people find that calm classical music and nature sounds are helpful. Remember however that your mind is drawn to what it believes to be the most interesting or pressing stimuli in your field of experience. So in some cases, even these sounds can make it tough to focus on your object of meditation. Another solution that I find effective is to use earplugs, noise cancelling headphones, or listen to white noise. Nature is another great option, as it has a calming effect on the nervous system – as long as you feel safe and comfortable and the weather allows it! There are effectively an unlimited number of objects you can choose from, all of which will have a slightly different effect on your meditation. The ones I mention below are the most common and are the best place to start for someone new to the practice. Focusing on the sensations of the breath is the most common object given to beginner meditators. It’s difficult at first but is a tried and tested technique that’s been used for thousands of years. The physical sensations on the nostrils are often recommended as a focus point because if we listen to or visualize the breath it’s easy to start meditating on an idea of it and not the real thing. Some teachers also recommend focusing on the rising and falling sensations of the stomach if the nostrils are too subtle. Mantra meditation can be an incredibly effective way to cultivate focus. 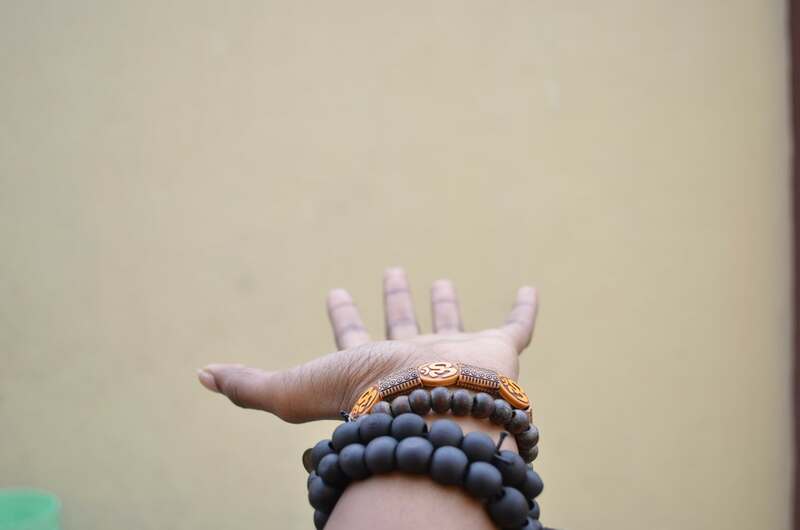 The specific mantra that you use to begin with isn’t actually that important, but it can help to choose a Sanskrit mantra such as ‘Om’ as there are fewer mental associations than with English words. Simply say the word as you exhale, or if you’re using a mantra with multiple words, find a rhythm that works with your breath. Saying the mantra out loud is typically easier for beginners, but as you progress you can try repeating it in your head. If you don’t have a teacher to guide you, for pronunciation simply try to mimic what you can find on YouTube. To learn more about mantra and chanting I highly recommend Russill Paul’s book The Yoga of Sound. 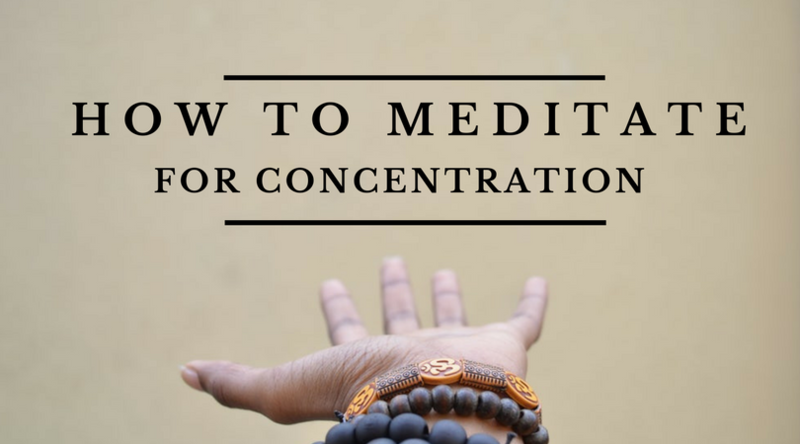 This is another great way to practice concentration meditation, all you need to do here is pick a sensation in the body and focus on it in the same way I explained with the breath meditation. This can be anything from the feeling of the sun on your face, the feeling of your back against the chair or the feeling of your feet on the floor. If you’re really struggling to stick with just one you can start with two sensations and alternate between them. Counting meditation is tough but incredibly effective if you’re meditating at home and are concerned with getting the technique wrong. It’s very simple, but it’s not necessarily easy. Simply count to ten in your head, and every time you notice a thought come up and interrupt your counting, you start again. Once you can consistently get to ten, you can extend it to twenty, thirty, forty etc. One benefit of this practice is that you can see a tangible improvement in your ability to focus, and this can be very motivating. To meditate on an external object is simple. All you need to do is look directly at it with absolute attention and soft but diligent focus. This traditionally done with something like a candle or an image of the Buddha. You can also visualize an object, which is good for imagination, but with many beginner practitioners will likely lead to too much mind-wandering. This is often one of the most forgotten aspects of meditation. People get so caught up with what not to do that they forget to make a clear conscious intention of what they want to do. As cognitive neuroscientist Andrew Newberg explains in his book How Enlightenment Changes the Brain even just anticipating a peak experience leads to dopamine release, so anticipating a meditation session to go well will facilitate the process. He also suggests that the thoughts and feelings that are sparked from conscious intentionality can have a ripple effect that impacts the entire brain. In fact, Newberg even believes that the brain states caused by ritual dance and running could lead to enlightenment experiences if there was a strong intention for spiritual change before and during the practice. To set an intention, simply state out loud or write down, as clearly as possible, the state of mind you would like to experience during your meditation such as clarity, quiet, peace, focus etc. There are a number of postures you can choose to use for meditation, but again, this is not something you should get hung up on. Simply sit down comfortably, either with your legs crossed or in a chair with your feet firmly on the floor. The most important aspect of posture is that you keep your spine erect, with your shoulders back and your head pointed forward, directly above your spine. Your tongue should rest on the top of your mouth, the tip pressing softly against your front two teeth. Your eyes may be open or closed but always relaxed. Having them closed makes it easier to achieve deep meditative states but having them open will help keep you more alert and awake. If you don’t set a timer then you’ll often find that your mind starts to wonder how long you’ve been meditating, and how long you have to go. To eliminate this problem, simply set a timer for the length you want to meditate. Insight timer is my favourite app for this, I use it daily. It allows you to customise the length of your sessions with meditation bells and symbols and can help bring you out of your meditation without shocking you with an alarm. As you start your practice, take a couple of deep breaths to calm your mind and center your attention. When you start to relax, point your attention towards the object that you’ve chosen. When mind-wandering occurs, which it inevitably will, use an anchor to bring yourself back to the focus. This anchor may be a motivational mantra or just a couple of words to remind you to redirect your attention. Some sayings that can be used are “back to the breath,” “focus” “come back.” Experiment with a couple and see what works best for you. Remember that the attitude that you want to have is one of firmness but not aggression. Be peripherally aware of the intention you set at the start of your meditation and allow it to redirect you back to the object. If you’ve never meditated before, start with 5-10 minutes of absolute concentration. You can then add 2 minutes every week until you’re able to do 30-minute sessions or longer. When you finish meditating sometimes the monkey mind will instinctively want to ramp back up again. You may feel a pull to complete whatever you were doing before the meditation or to start frantically planning what you’re going to do next. It’s best that you resist this urge, and take a while to bathe in the feeling that you have after the practice. Try and move slowly for a short while and stretch out the feeling of relaxation and calm as long as you can. Over time you’ll see that the longer you do this, the more you’ll be able to take this feeling off the meditation mat and into the real world. Don’t flick back and forth between objects. Though it can be tempting when you’re struggling to focus on one object, to concentrate on another, and another, and another, this defeats the point of the practice. The meditation itself is not chiefly concerned with focusing, which your brain is naturally good at, but with redirecting attention once it has wandered, which we aren’t generally very good at. Don’t aggressively bring your attention back. When you first start concentration meditation it can be frustrating to realise how little control you truly have. This can cause some of us to take an aggressive attitude towards our mind. However, what you’re looking for is a mindstate that is like a calm lake, and this aggression will only create more waves, so to speak. Meditation teacher Jack Kornfield says that treating the mind as you would a new puppy, gently but firmly ushering it back to the object of focus, is the right attitude to hold. Journal afterwards. Finishing your meditation by consolidating your insights with a journal is a fast track to improvement. Simply ask yourself “What is the one thing I can take away from this meditation session?” Don’t worry about the individual answers, just write whatever comes to mind and in time you’ll start to see patterns emerge that give you valuable advice for your concentration practice. Choose the time you are most alert to meditate. This can be tough when you first start to meditate because you naturally get tired and may only have a limited amount of time in the day. However, there are a number of ways you can prevent sleepiness when meditating. Stretch or walk before your session to make sure the blood is flowing, change your diet to something that is light on carbs and high in nutrition, open your eyes during your meditations, or simply meditate when you know you have the most energy. Concentration meditation is not an easy practice, which is why not very many people stick with it in the long term. But you need to put in the work to get the rewards. And the rewards here are huge for anyone who’s willing to stick to the practice long term. Once you have a strong foundational practice of concentration meditation, you’ll see exponential growth in all areas of your life as you save energy that would’ve been spent on procrastination and you’re able to do what you want, when you want, pretty much at will. What experience have you had with concentration meditation? Let me know in the comments! 5000 is approx 13 hours per day. It is clear why Buddhist spend at least three years on retreat. Yeah it’s a heck of a lot if you’re trying to get it done in a year. Best to see it as a lifelong practice as there are obviously cumulative benefits along the way! Great article, thanks for putting this all together. I’m familiar with vipassana (insight) meditation, and found very helpful tips in your post. For instance your remarks on the right moment to meditate (to stay alert) make me take a second look at my practice and timing. 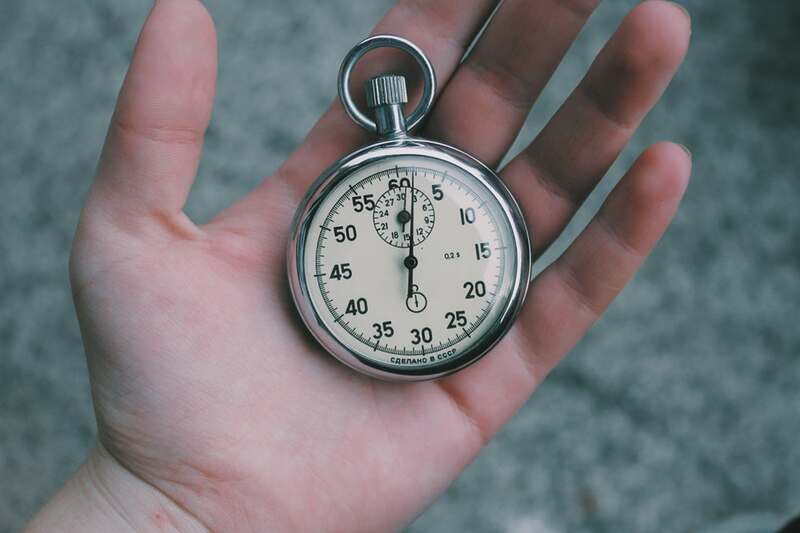 Talking about timing: my favorite timer is Mindfulness, by Spotlight Six Software (and free). It has the option of randomly timed bells, which I like to keep me mindful during the day behind my desk. Thanks Ton, glad it was of some value you to you. Vipassana is a great practice, a lot of schools will say that some experience with concentration meditation is a prerequisite to really get the most out of insight meditation. Which I guess is where modern mindfulness may skip a step. Check out Daniel Ingham’s Dharma Overground forum if you’re interested in learning more. And unfortunately that typo wasn’t a test, but seems you would have passed if it was! Ben_Thank you for a good, solid primer on approaches to concentration in meditation. Especially enjoyed the part on the value of setting an intention. This practice can instantly set the mental stage for a more grounded session. Another powerful way to concentrate is to put your attention on the tanden (Japanese). This point, two finger widths below the navel, is the center of chi energy and balance. By focusing there the mind will eventually quiet, the heart become calm, and a greater strength will emerge. This type of meditation is very effective for those living in cities. I practiced it for years while in New York and it was a life saver. Great article. Thanks for the information. I wanted to ask if it is necessary to see the mantra I’m concentrating on, in my mind or to just say it with a blank mind. You can see the mantra if it helps, but the more practice you have, the more you should focus on one sense at a time e.g. sound.